I have been looking out for Southern Right Whales lately. It has been about 10 days since there were any around in the western end of Geographe Bay. 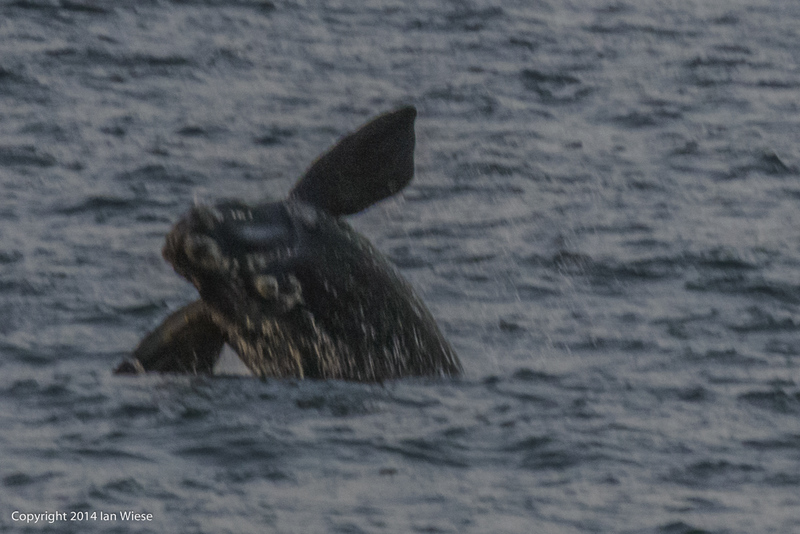 Last night 2 adults and a 3 metre calf (very young) showed up at Meelup. 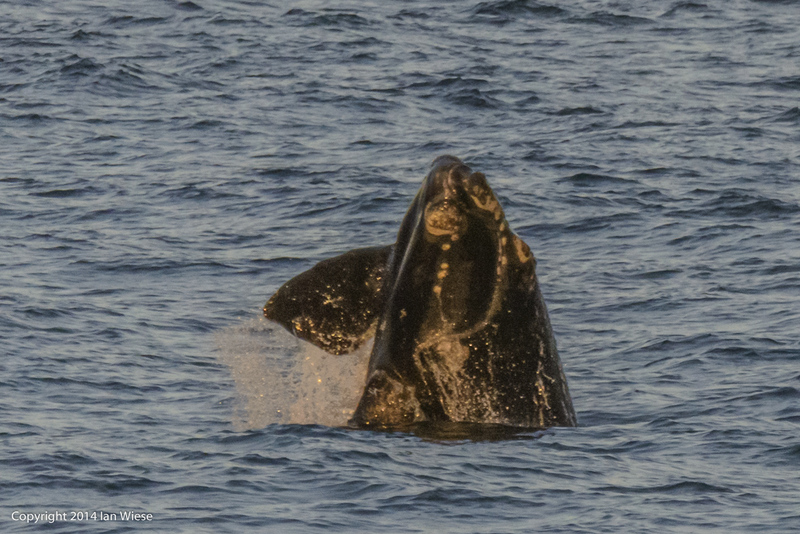 The calf was very active, and they moved off towards Pt Picquet. A boat which had been anchored started up and followed them. They immediately went into “stealth mode” and only surfaced briefly every few minutes. 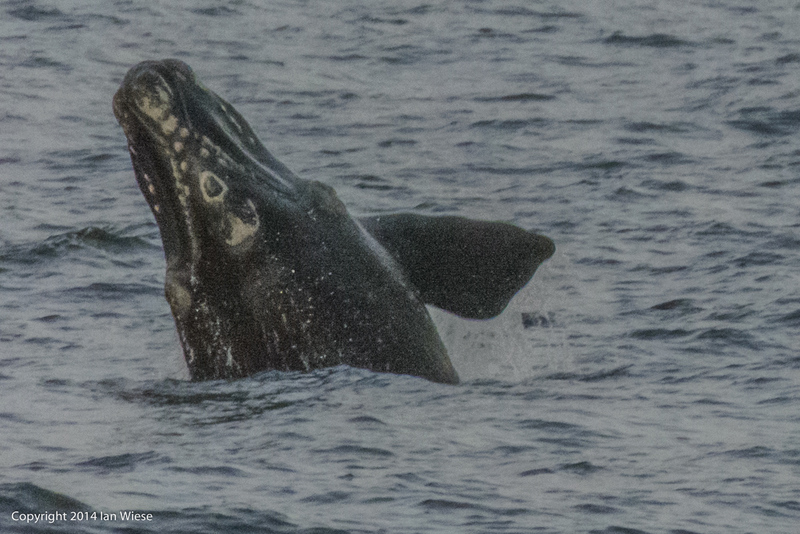 When the boat moved off the calf began playing – leaping out of the water continuously. They were at times less than 10m offshore. 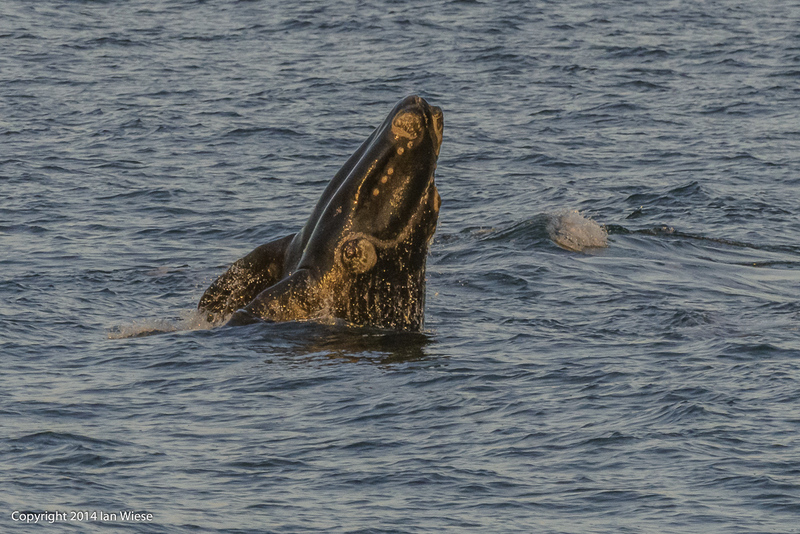 As they rounded Pt Picquet the sun was setting and I got this shot of the calf in the golden light. Here are some more shots of the calf. The next two were taken after sunset, necessitating slower shutter speeds and high ISO. This entry was posted on September 6, 2014 by ianwiese. It was filed under Pt Picquet, Whales, Wildlife .